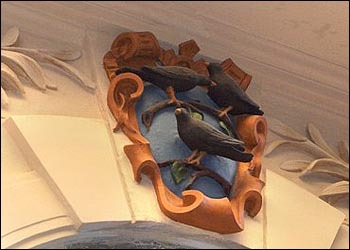 The Best Western Hotel Pav (the Peacock) dates back to the year 1806, when it was called “U tri kosu”- according to the sign above the door. 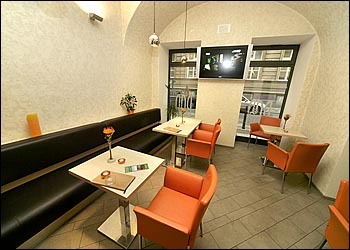 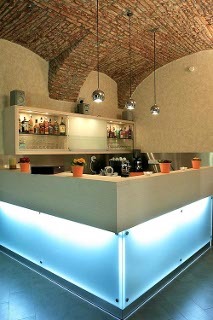 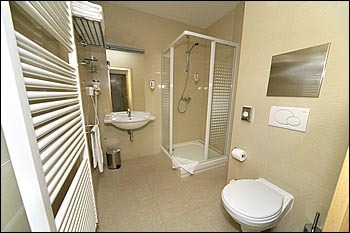 Hotel Pav is ideally situated on the border of Old and New Town, right in the heart of historical Prague. 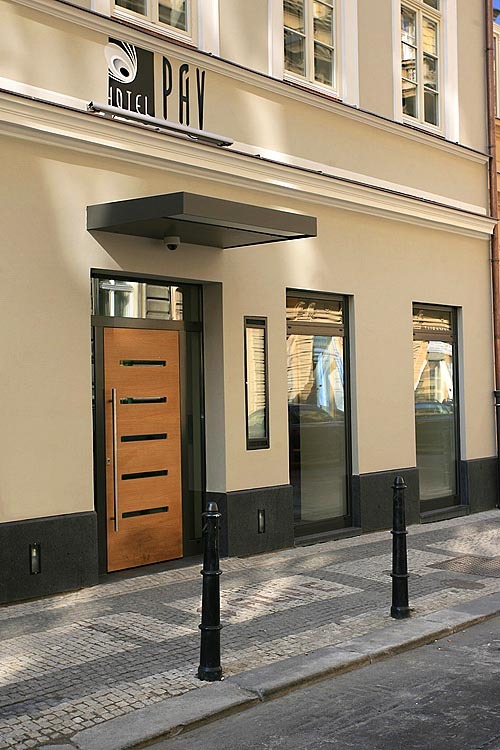 It was built by an unknown architect in the early classicism style, who was obviously heavily influenced by the art of ancient Greece and Rome. 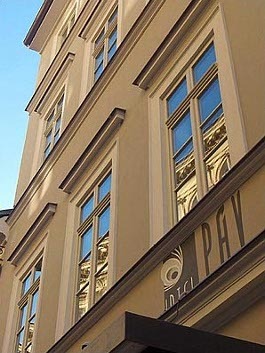 Hotel Pav is ideally situated on the border of Old and New Town, right in the heart of historical Prague. The well-known brewery and beer house "U FLEKU" (founded in 1498) is in the neighbourhood of the hotel Páv. 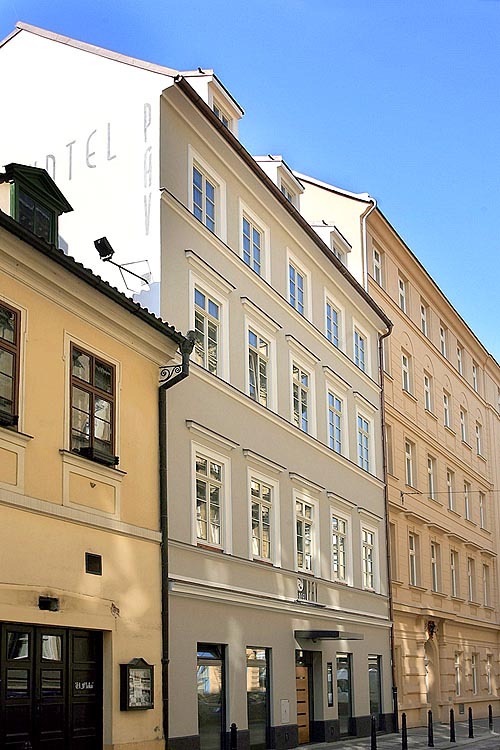 National Theatre, Old Town Square, Charles Bridge, Wenceslas Square and many other places of interest are in walking distance of the hotel - about 5-10 minutes on foot. 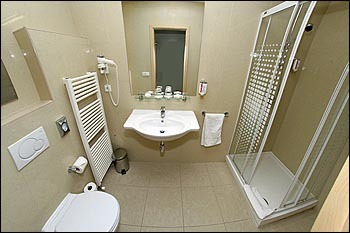 We offer 89 individually appointed and furnished rooms with private bathroomm with a bath or shower, WC, hairdryer, towels and hotel cosmetics. 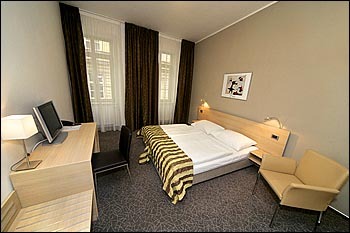 78 double and twin rooms and 11 triple rooms. 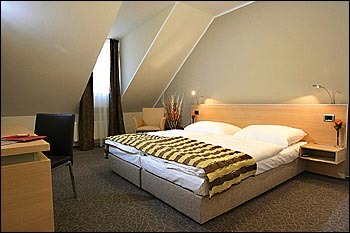 Baby cot upon request. 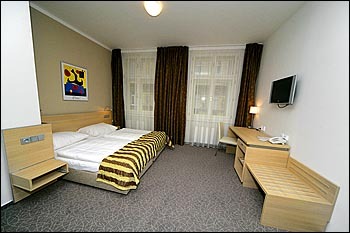 Our rooms are equipped with satellite LCD TV, IDD telephones, Wi-Fi Internet acces and safety deposit boxes. Hotel Facilities: 24 hours reception desk, Concierge, Breakfast Restaurant, Lobby Bar & lounge, Conference Room, hotel safe, PC terminals with free of charge Internet connection in the lobby area and laundry service.